Flunk! 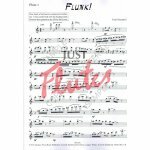 can be played by 5 flutew with CD backing, with or without the optional Alto Flute. 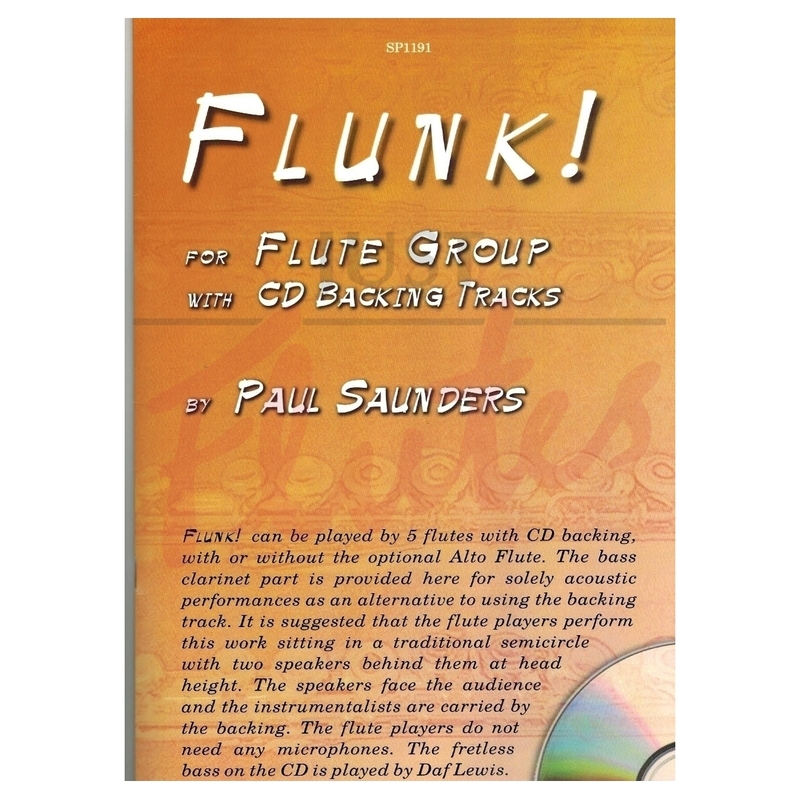 The bass clarinet part is provided here for solely acoustic performances as an alternative to using the backing track. 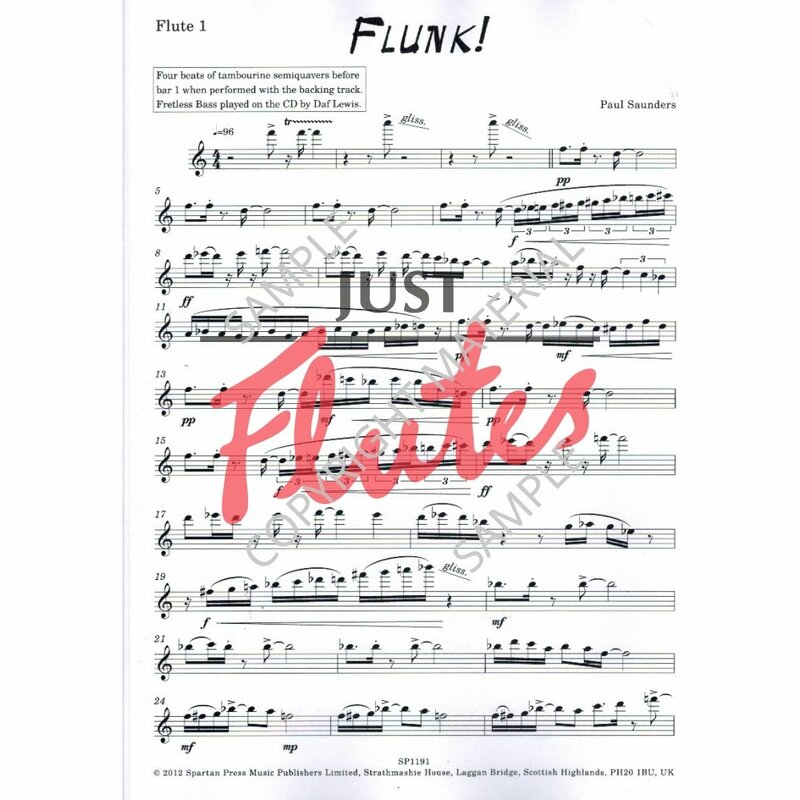 It is suggested that the flute players perform this work sitting in a traditional semicircle with two speakers behind the at head height.....The flute players do not need any micorphones.